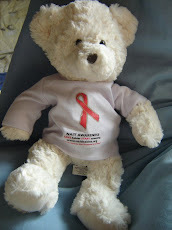 Nait Babies Blog: NAIThaniel (Nait bears twin brother) has a HUGTASTIC time at the Oxford Half Marathon! NAIThaniel (Nait bears twin brother) has a HUGTASTIC time at the Oxford Half Marathon! I got a phone call from Nait just the other week and he was in a bit of a muddle!! He was visiting with his friends Gillian and Archie, but he had heard there was a fantastic man called Mike Murphy running the Oxford Half Marathon to raise awareness for Naitbabies. Nait asked me could I please pop along and provide support and Bear Hugs for all. How could I resist the opportunity to meet such amazing people!!! My friends Stacy, Thea and Jack made me feel very welcome, and got loads of cuddles with Lulu the doggy. Finally the day of the Oxford Half Marathon came! I was so excited to hear that Clair, Becky and Sue were coming along to meet us!! We had great fun while we were waiting for the race to take place! We waited nervously at the finish line for Mike!! And suddenly he appeared and gave me a huge hug! I was so proud of him for running such a long race!